Summer is just round the corner and it is only a matter of time when you would require the cooling comfort of an AC. If your AC has been in disuse due to winter or you are planning to get an upgrade, now will be a good time to call an expert and have a look at your requirement. In this article we will cover useful tips to help you hire local experts of repair and AC Installation Houston. Be sure to follow these steps before you hire sign the dotted line! It is very easy to spot an honest HVAC company when you know what you want. Some companies will try to oversell their services or recommend a complete replacement, even when you don’t really need one. You don’t really need to know all the technical details, just enough to tell when the potential AC repair and installation service provider is trying too hard to sell you stuff. It will also help to know the basic life expectancy of your unit to know if it really needs the replacement that they say you do. When looking for an AC expert, it is always better to ask around for their valuable referrals. Your friends and neighbors can suggest the vendors they trust. You should have a list of at least 5 names before you start the due-diligence process. When you have your little list, talk to the repair companies and ask them for their certifications, read the online reviews about their professionalism, ask about their experience, insurance coverage etc. Be sure to check these details before moving on to the next steps. When looking for the right company, you should pay close attention to the services they provide. A good AC expert will not only provide you repair, but also installation and maintenance services. They should be your one-stop-shop for all your AC related needs. After all, you want to hire a company that you can rely on in case of breakdowns as well as maintenance of your expensive unit. Look for emergency repair service and someone who can provide regular tune-ups and inspections to keep your AC running through the season. 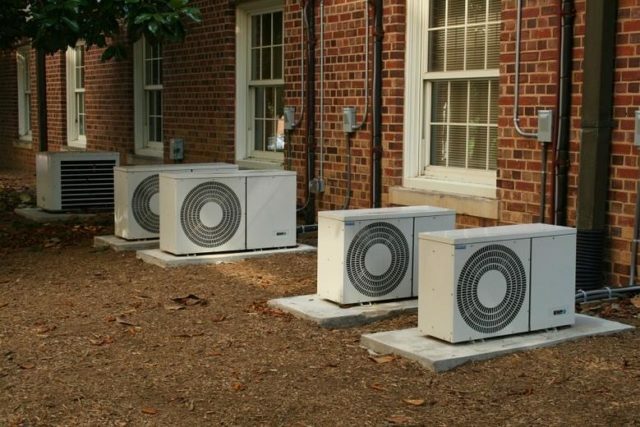 HVAC companies, in most cases, offer free consultation and quote. Just make sure that the quote is in writing and has detailed explanation of the services and the subsequent charges so that you can make an informed choice. It can also be helpful to get a quote from different companies to know if they are offering you a valid rate. Hiring an AC repair service is not as complex as one would think. These basic checks will cover you against any hiccups later. As an added measure of security, you can also check the qualifications of the technicians to ensure that the experts fiddling with your machine know what they are doing!